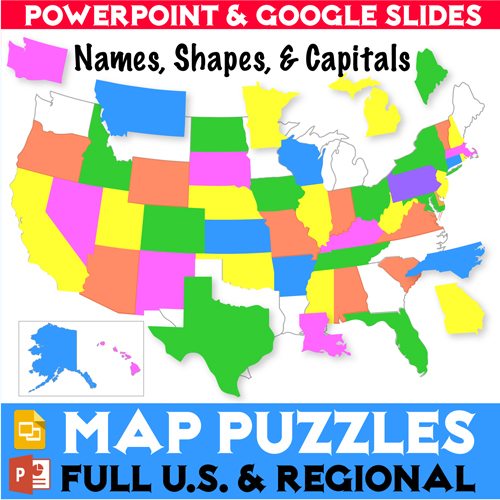 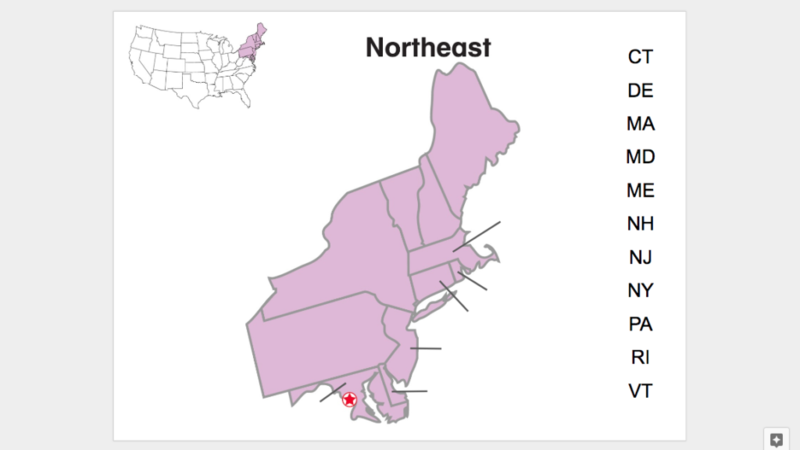 These U.S. Map Puzzles on Powerpoint and Google Slides will help your kids learn the names, abbreviations, shapes, regions, and capitals of the United States. 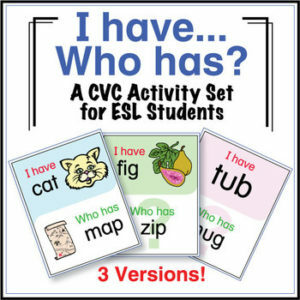 Whether you teach social studies, ESL, geography, or history, you’ll be sure to use these materials for years to come! 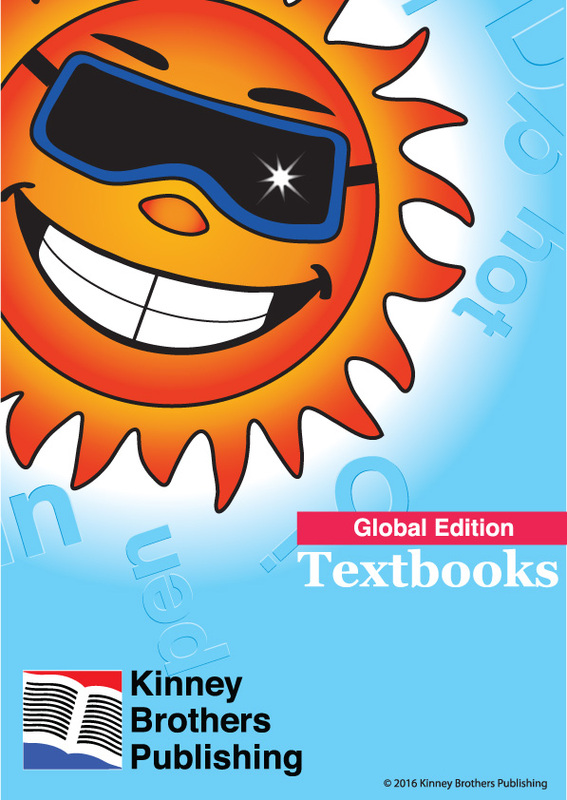 Included in this download are 6 Powerpoint files and links to Google Slides files. 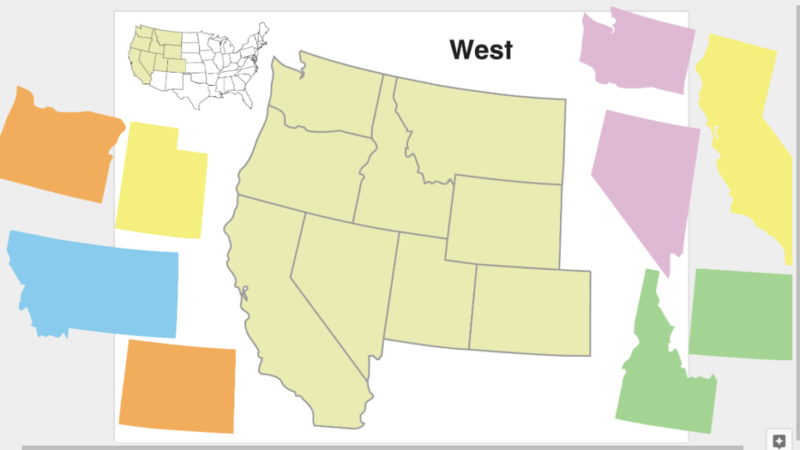 Each slide deck includes 25 slides – 11 master map puzzles and 14 student map puzzles. 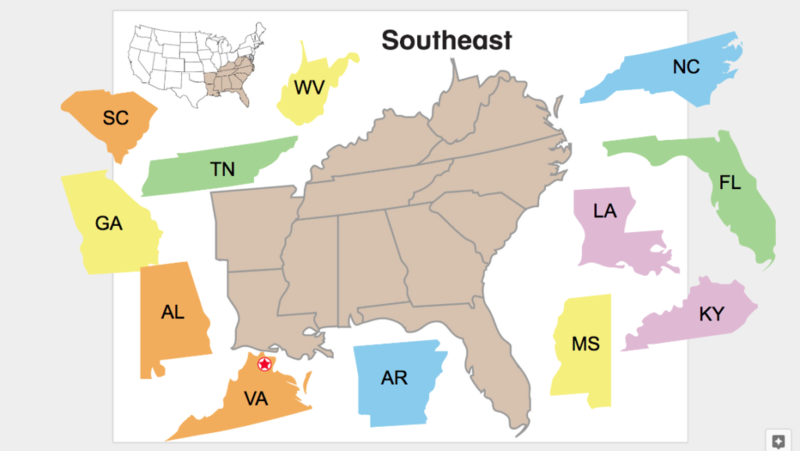 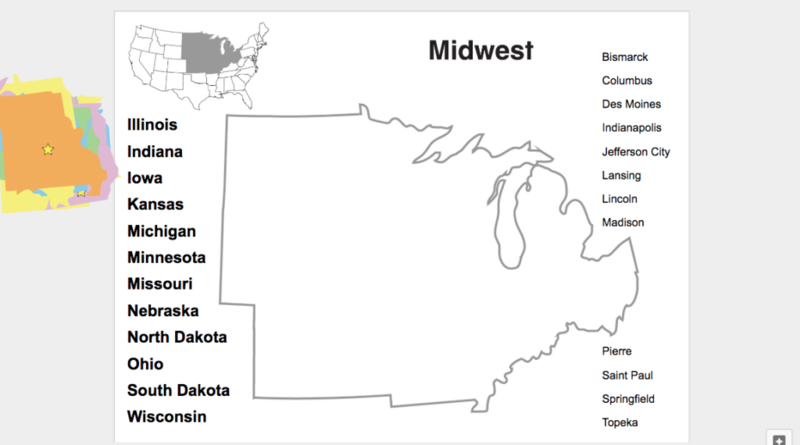 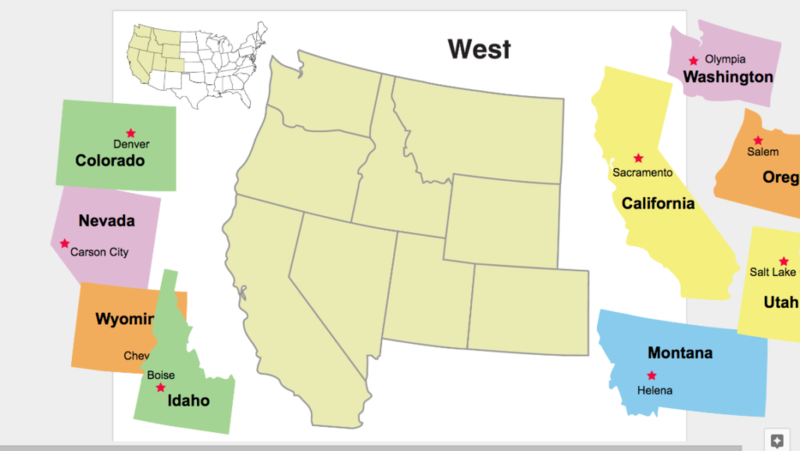 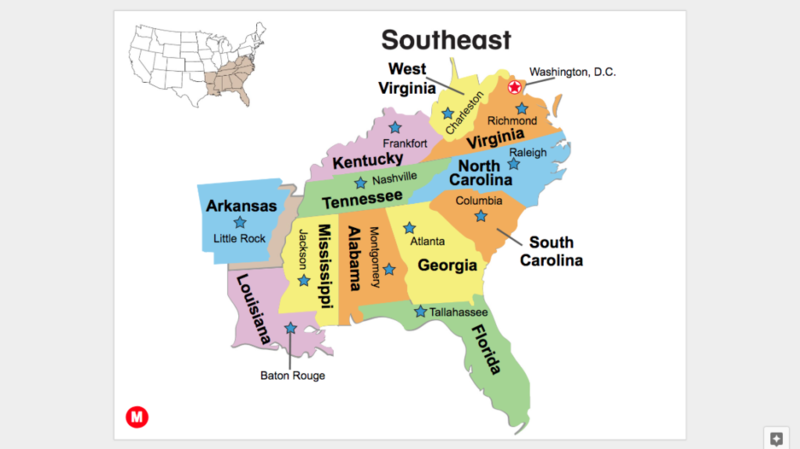 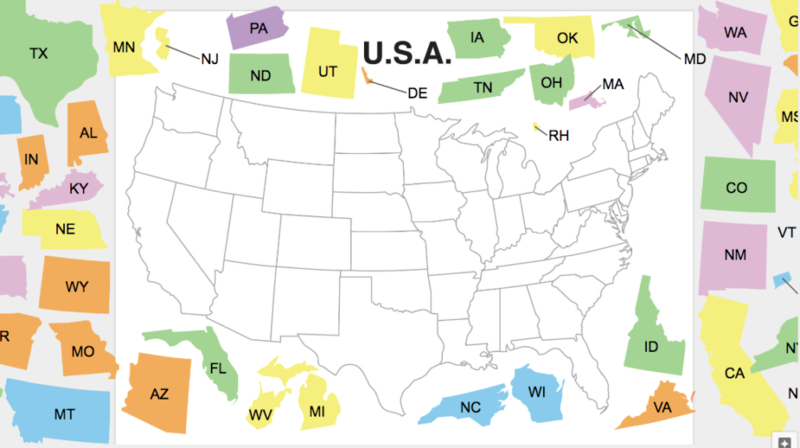 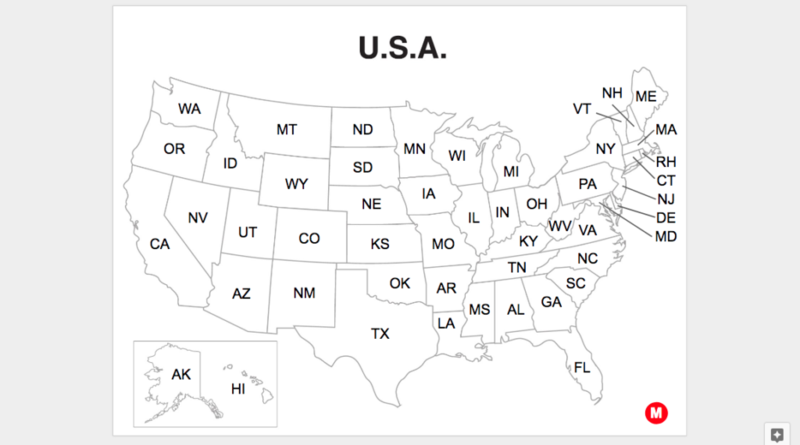 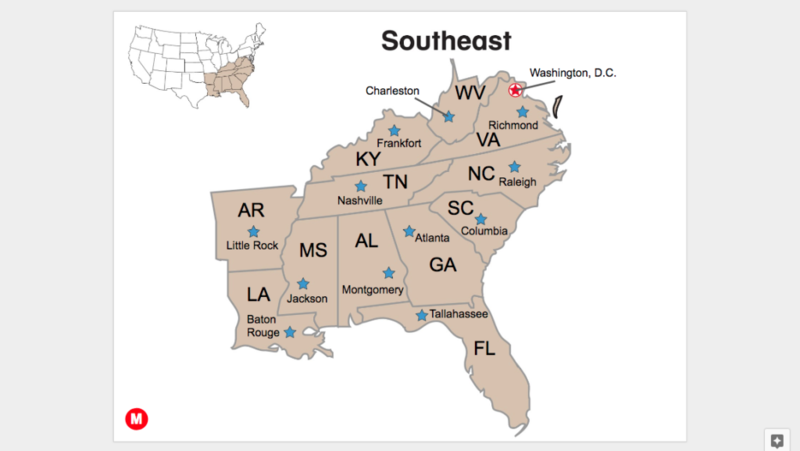 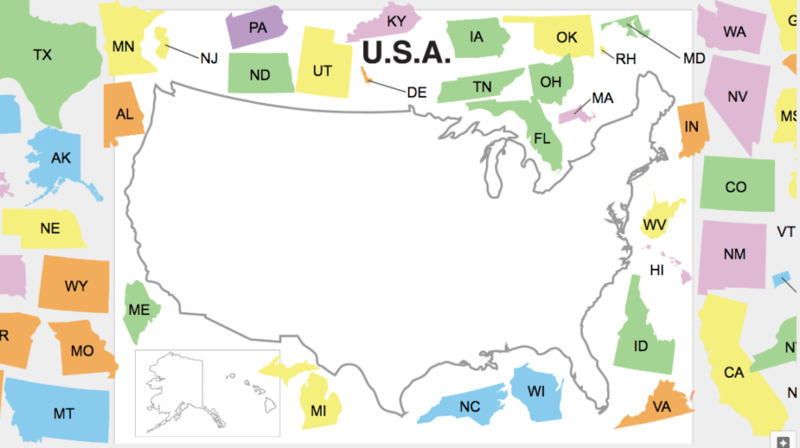 Differentiated to reach a wide range of student abilities, you can use these maps in class for beginners just learning about the United States to upper grade students learning state capitals and U.S. history. 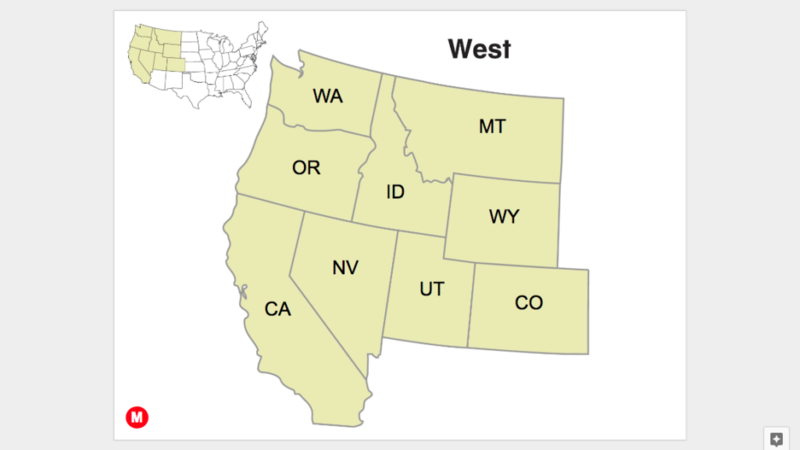 This file is also compatible to Regional Maps worksheets and is included in the Regional Maps Worksheets Bundle! 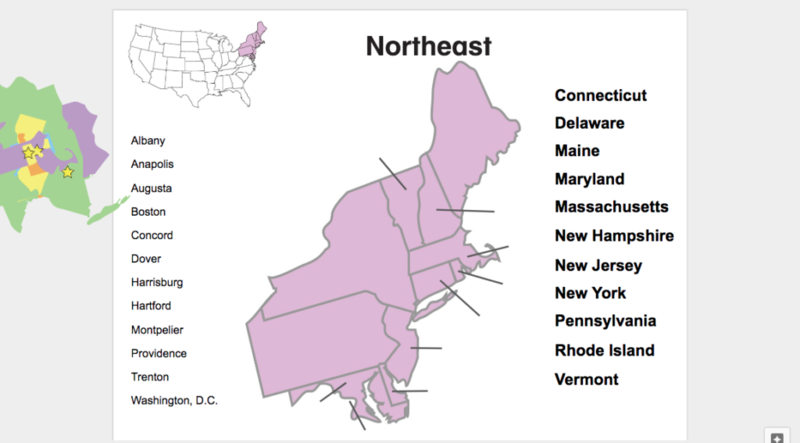 Check out a sampling of the 150 slides this resource has to offer!